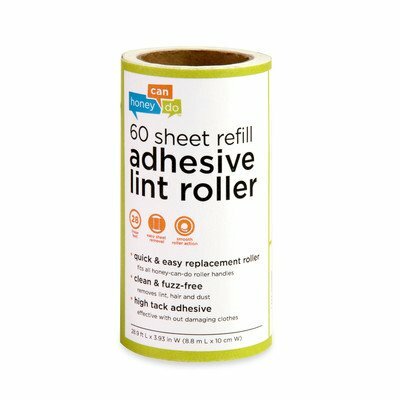 LNTZ01589 Features: -60 Sheet lint roller refills. -Vinyl wrap around with printed cardboard insert hanger. -Great addition to your laundry collection. Product Type: -Lint roller. Primary Material: -Plastic. Number of Items Included: -4. Finish: -Green. Appliance Compatibility: -Dryer. Dimensions: -Tape dimensions: 4'' W x 360'' L. Overall Height - Top to Bottom: -4". Overall Width - Side to Side: -2". Overall Depth - Front to Back: -2". Overall Product Weight: -3 lbs.